Knowing what files you can open with few or no struggle at all in Word is useful, no question, but what about saving documents in Microsoft Word? There is a big list of file formats you can export or save your writing in. In this article, we plan to reveal them all. Please note that these information represent the current standard as of Microsoft Office 365. They may not be accountable for earlier or newer versions of Microsoft Word. The first formats to have a look at are the default and standard document files provided by Microsoft Word. They can be regarded as Word’s “native” files. While some of these files differ due to the version of Microsoft Word you have, others serve different purposes. DOC files have been the standard document files to save your writing in Microsoft Word for a long time. It is compatible with versions of Microsoft Word from Word 97 up to Word 2003 for Windows. DOCX is the XML-based format that is standard for versions Microsoft Word 2007 and newer. Read more about the difference between DOC and DOCX. DOT and DOTX differ from the aforementioned document files in one crucial instance: they are template files. Documents saved as DOT or DOTX save content as well as layout and page settings, styles, shortcuts, and more, thus making it easier to start a new document with the exact same set-up. DOT files are compatible with versions of Microsoft Word 97 up to Word 2003. DOTX files, similar to DOCX, are based on XML. Those templates can be saved with Microsoft Word 2007 and newer. Both DOCM and DOTM are similar to DOCX and DOTX respectively. They are both XML-based. However, saving in these formats preserves VBA macro code in either the document or document template. These macros are only able to run in Word 2011, thus making this the version of Microsoft Word that allows you to save your writing as either DOCM or DOTM. TXT files are the “most basic” text files you can create. Text is saved in a plain format without any formatting or styles. This file type can be opened in all common text editors like NotePad. Read more about why you may want to create a TXT file. RTF files are similar to both DOC and TXT files. Text is saved with basic formatting however, setting it apart from the plain text version TXT. However, the formatting preserved in RTF files are not as advanced as those in DOC and DOCX. Many other word processing programs are able to open RTF files. PDF files are special in that they can not be further edited in common word processing software as Microsoft Word. Text saved as PDF, however, look exactly the same in every program they are opened with as they contain a fixed page layout. This format is especially useful when transferring writing from, e.g., Windows to Apple Mac computers or for printing. Another possibility for saving text in Microsoft Word is to save it as an executable webpage. There are two formats available for this. HTM files save the contained text in the HTML format. Thus, the files can be executed in a web browser. Like PDF files, they look exactly the same on Windows and Apple computers. Read more about reasons why you may want to save your documents as HTM(L). When saving a document in the MHT format, it is optimized for display on the web as well. All page elements like images, tables and other graphics are included in one MHT file. The files use the MIME HTML Internet standard. Next to webpages, Microsoft Word is also able to save text in the markup language XML. XML files contain text translated into XML markup language. All formatting of the text is translated as well. There are two versions of the XML file available for saving in Microsoft Word; one is compatible with Word 2003, one for Windows 2007. Next to these (more or less) document types available for saving, Microsoft Word is also capable of exporting writing in different file formats. There are two versions of DIC files available. 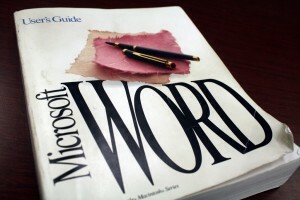 They are both linked to dictionary entries that are not contained or specified in the main dictionary of Microsoft Word. One version of DIC files stores information about new words or terms that are not saved in the main dictionary. The other version specifies the preferred spelling of words and terms. Saving them in this type of DIC will prevent Microsoft Word from marking correctly spelled words as incorrect. This is especially useful when it comes to the distinction between British and American English. THMX files contain information about used fonts, color schemes, background settings and other formatting that belongs to a Microsoft Word page theme. In Word, you can choose between different themes under Home > Themes > Browse Themes. Thus, you can apply them to any page you are working on.